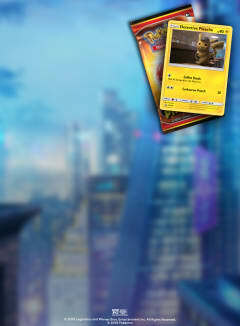 One card features Detective Pikachu, and the other is a mystery. These trading cards are only available 5/9-5/12, and they’ll go fast, so hurry and catch them while you can! 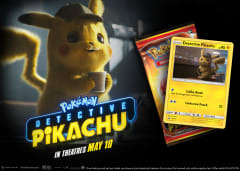 *One trading card set per ticket purchase at participating theatres. First come, first served only while supplies last. At participating AMC, AMC CLASSIC and AMC DINE-IN Theatres. Offer valid 5/9-5/12/19.